Congrats! 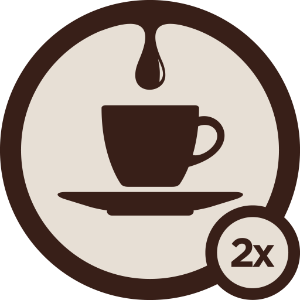 Your recent check-in at Insomnia just unlocked the Fresh Brew badge, Level 2! Look at you, Juan Valdez! That's a lot of coffee. Now that you've had your caffeine fix, get out there and conquer the day - one twitchy step at a time. Nice! You've hit up 5 different coffee spots. 5 more new ones and you'll unlock Level 3! Foam moustache party!